So weeding the garden tonight I noticed on one of the zucchini plants some bug eggs. Anime have an idea what they could be? The bug eggs on the top photo are squash bug eggs. The adults are gray with squarish "armor" looking skeletons They can be killed with insecticidal soap (Dawn & water), but the wrong concentration can kill the leaves. Or, you can pick off the eggs or blast them off with water. I'd do it now before you are overrun with adults. Rainbowgardener posted about leaf footed bug. Your eggs could be that, squash bug or stink bug. The eggs can be rolled off the leaves with your fingers. They are hard to squish for my fingers. Put them in a soapy water cup like Lindsay. 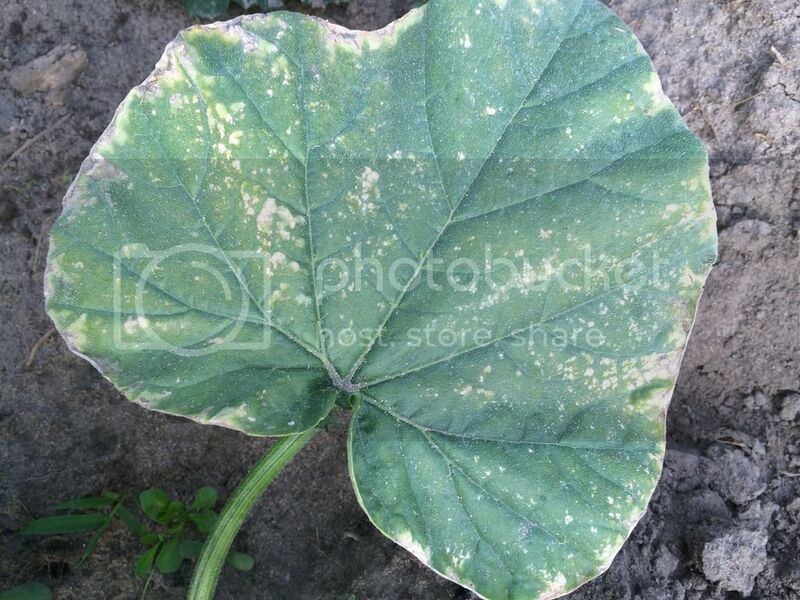 As for the "dry" leaves -- you don't want your leaves looking like that -- cucurbits are prone to fungal disease. Soil should NOT be always damp. Clip off affected leaves where the leaf stem meets the bottom of the leaf -- I try not to leave a hollow stem for bugs to burrow into -- the stem will wilt and collapse, then can be removed at a later date. Bag and throw out suspect leaves in the trash, not compost pile. I think those are Squashbugs eggs. I use neem oil for them, as well as handpicking. I've found that if I take our sprayer out there, and give the plants a good spray down, especially at the base, they will come crawling right up the stalks, and you can just pluck them off. They stink if you crush them, so I just toss them in the soap water cup. It's very effective. If you see those eggs on the top or bottom of the leaves, there ARE adults either on that plant, or close to it. They love hanging out at the base of the plant,( where they mate constantly it seems like!!! UGH!) and if you turn the plant over slightly, you can usually find them. I'm not having MUCH trouble with them this year, which is very unlike every other year. Maybe my controls are finally paying off? Idk....but I'm enjoying it. They are the worst pest I have, normally! Tiny black "eggs" underneath the basil leaves..